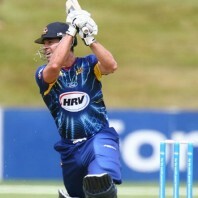 Otago 4-157 (Ryan ten Doeschate 64, James Neesham 32*, Neil Broom 25, Dilhara Lokuhettige 3-20) beat Kandurata Maroons 9-154 (Upul Tharanga 76, Dilhara Lokuhettige 15, Ian Butler 3-21) by six wickets. Kandurata Maroons scored 154 runs for the loss of 9 wickets in the measured 20 overs and Otago Volts smashed 157 with six wickets remaining and 12 balls still available. 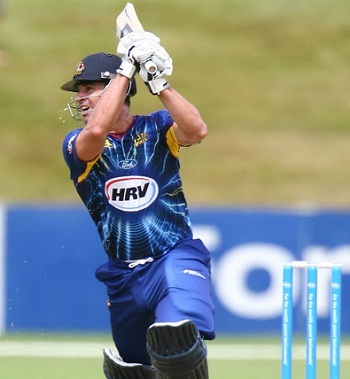 Ryan ten Doeschate (Otago) was declared ‘Player of the match’ for his excellent all round performance in the game. The third qualifying match of the Champions League Twenty20 was played on Wednesday, September 18, 2013, at Punjab Cricket Association Stadium, Mohali, Chandigarh. Earlier, the skipper of Otago Volts, Brendon McCullum, won the toss and invited the rival team to bat. Upul Tharanga along with Shehan Jayasuriya took off slowly by scoring 25 runs in 6 overs as the latter was gone for 13. Kumar Sangakkara started his innings with a four while Tharanga hit a couple of sixes in the 8th over. Sangakkara did not last longer and became the next victim after scoring 13 runs. The entire batting of Kandurata Maroons was revolving around Tharanga who was the lone fighter as the wickets kept on sliding at the other end. The left hand opener hit 3 lofty sixes and even fours at the end of the 10th over and attained his 6th Twenty20 fifty in the next one with another boundary. The middle and lower order batting of Kandurata Maroons flopped badly and Upul Tharanga was the fifth batsman who went back to the dressing room for 76 off just 56 balls with 3 big sixes and 6 fours. Dilhara Lokuhettige and Nuwan Kulasekara scored 15 and 14 runs respectively as they managed 154 with one wicket in hand in 20 overs. Ian Butler was the chief wicket taker with three, Ryan ten Doeschate held two whereas James McMillan, Neil Wagner and James Neesham shared one wicket each. Neil Broom and Hamish Rutherford got off to a flying beginning as the latter hit 3 fours in two overs followed by a six from the first. The partnership was broken at 31 in 3.6 overs when Rutherford was caught by Dilhara off Suraj Randiv for 20 and Brendon McCullum lost his wicket for just eight runs. Ryan ten Doeschate associated next with Broom who got his second six in the 10th over. Doeschate dispatched three back to back sixes in the next over off Kaushal Lokuarachchi whereas Broom surrendered for 25 as the total touched 89 in 12.1 overs. James Neesham walked in next and added 12 runs in the 14th one with one six. The batsmen preferred to score the runs with regular boundaries and Ryan ten Doeschate powered his 16th Twenty20 half century on the 26th ball with another four. He accumulated 12 runs in the 17th over and was smartly caught by Kulasekara off Dilhara for 64 from 32 mere balls with 5 towering sixes and 2 fours. Neesham hit the winning four on the last delivery of the 18th over and remained unbeaten for 32 off 19 with 1 six and 3 fours. Otago achieved the target by thrashing 4-157 in 18 overs with plenty of batting still to come. Dilhara Lokuhettige was the highest wicket taker with three whereas Suraj Randiv got one. Otago won the match convincingly with a big margin of six wickets and enhanced their points tally to 8 after two games.